Your support is critical to helping LADD develop and expand opportunities for people with disabilities. Because of your support, LADD is consistently able to improve the quality of our services, invest in innovative projects and programs, all while maintaining healthy and safe living environment. Your support is our pathway to achieving the goals laid out in LADD’s Strategic Plan. Contributing to the Annual Giving Campaign provides operating support for LADD. In honor of our founders, we recognize our dedicated and visionary donors who give $1,000 or more annually to support the mission of LADD. Click the button below to send an email of your intentions to the LADD Development Director. You will then be contacted to make arrangements for your gift. 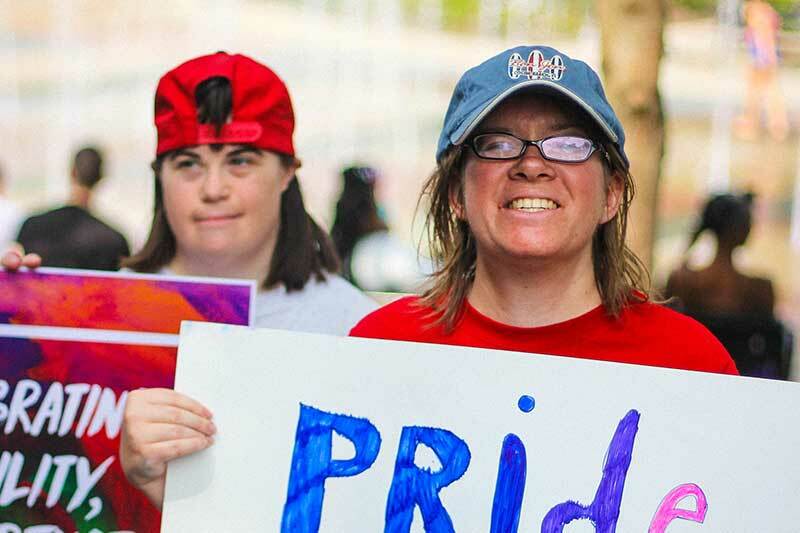 LADD's Forever, Home campaign is a critical next step in ensuring access to services for 1,000 of people with developmental disabilities who deserver opportunities to live, work, and connect. Planned giving is a creative way to donate to LADD that leaves a positive legacy even after you’re gone. Amazon Smile You shop. Amazon gives. Amazon will donate 0.5% of the price of your eligible AmazonSmile purchases to LADD whenever you shop on AmazonSmile. Give a general gift to LADD. Honor/Memorial Gifts remember and honor your loved ones.